Fonny is best described as a meticulous, organised and responsible person who always strive to do her best in everything. Her character traits are visible through her excellent academic achievement and extensive working experience. Fonny possesses outstanding academic qualifications and achievements to be envied. She graduated from Monash University with Bachelor of Business (Accounting) and was named “The top 1998 Graduate Student”. Subsequently, she pursued her Master of Business Systems degree with the Faculty of Information Technology, Monash University and graduated with High Distinction. Due to her excellent academic achievement, she was awarded a PhD scholarship with Monash University. She completed her doctoral degree in the Faculty of Information Technology in 2009. Equally remarkable, Fonny has extensive working experience. 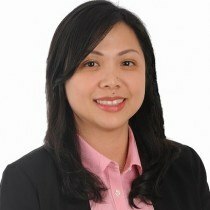 While in Singapore, she worked as Information Technology Auditor with PricewaterhouseCoopers Singapore and then joined the National University of Singapore as an internal auditor. Since migrating to Australia, she has had various working experience as an assistant lecturer/tutor with Monash University for a number of years, a research admin support with Melbourne University, as well as providing support to Conan as his sales assistant and back office staff. With her outstanding academic qualifications and wide experience in accounting, information technology auditing, teaching and communication skills, Fonny is more than qualified to manage the office affairs. She has been an invaluable asset to the organisation in the setting up of a well-run back office which is both effective and efficient in ensuring strict compliance with the law and legislation relating to real estate affairs.